I posted before about inviting people to a fundraising party for Team Year of Fun. Tonight was that party. The date wasn’t a very good one for a lot of people so we ended up with a small crew of friends, many of whom had already donated. I did, however, have an iPad out at the party so a couple people donated and even more signed up to walk with me. Their donations and postings on Facebook drove other people to donate and Team Year of Fun ended having a little boom that blasted us back into second place! (Although I just checked now, since I’m writing this after the weekend, and another team has swooped in raising over $5,000 leaving us in third). The party itself was a lot of fun. The hubs set up a quesadilla bar full of ingredients. People built their own and then the hubs grilled it for them. We played games and chatted. 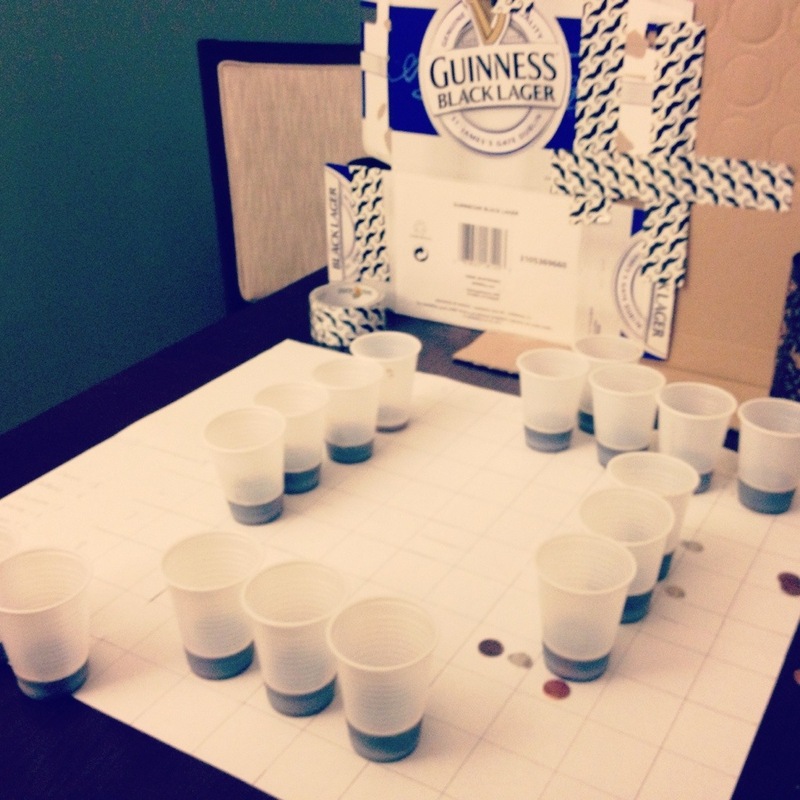 A few people even played a version of the 1980s game Battleship with shots of beer standing in for the ships (see picture below). It was fun to have people over, talk about the walk and spur some donations!